If we have already said this, forgive us because we’re going to say it again. Asus has a quiet hero in the ZenPad 3S 10 (Z500M). Quiet in the sense that Asus did little in most markets to promote or market this tablet. The Zenvolution events that rolled out across the globe were understandably geared towards the Zenfone 3 launch. 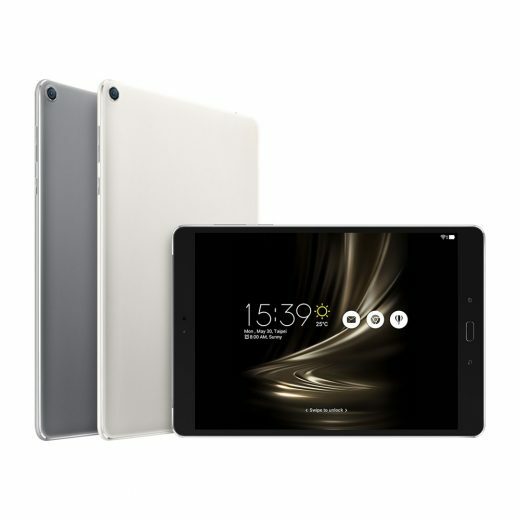 We just watched the Italy Zenvolution event and we couldn’t find any ZenPad 3S 10 slides during the presentation. However they did list the prices at the end of the presentation. So it has been a curious path. The price point of USD 299 is quite astonishing considering the quality high resolution display, RAM, storage, finger print sensor and Z Stylus compatibility. With these specs at this price point, early indications are that this will be a hit success for Asus provided they can maintain inventory. But we are here to talk about a 4G LTE version of the ZenPad 3S 10. This would go by the model name of Z500KL and thus would indicate it would be running with a Snapdragon processor which is different that the current Z500M with a MediaTek processor. Is a 4G LTE model better or faster? Without reviewing or testing the two different models, it would be generally accepted that the Snapdragon processor would be able to run more efficiently than the MediaTek processor. This is based on the fact that Snapdragon are very much the top ARM processor company in the world. Price will obviously be increased for a 4G LTE model (Z500KL) but by how much we can’t say yet. With Verizon having the ZenPad Z10 exclusive, it’s highly unlikely that the US market will see the Z500KL. In most cases, Asus releases 3G and 4G LTE tablets in the Asian and Europe markets. We also can’t specify a release date although getting products out before the shopping season is pretty much a priority. In the case of the Z500KL it could very likely be coming some time in November. Up until now we haven’t heard anything but this is not a surprise based on the low key approach that Asus is taking with their tablet line-up now. That would be great, if it makes it to the UK. Do you have a source for this or is a guess?